Author's Note: If you should have a photo of any of the 26 that I am missing, please share. List at the bottom of this article. A single event marked a great shift in history. At about 4 pm on March 22, 1879, a group of armed white men entered the room in the Lake Providence, LA courthouse where the police jury (city council) was in session. With pistols drawn, the armed men forced the three African American members to sign a statement saying that they resigned their positions because of their incompetency to serve. Thus began the period of time when black people in East Carroll parish were no longer allowed to cast their ballots although they were still allowed to register up until 1922. For 40 years, blacks could register but not vote and for another 40 years, until 1962, blacks could neither register nor vote. My father, Rev. John H. Scott, was instrumental in convincing Attorney General Robert Kennedy to file suit against Louisiana and the local registrar of voters. The case was tried in the United States District court on November 27, 1961. At the time, the white population was 2990, registered to vote 2845 (or 95% of them) and 4183 blacks and 0 registered to vote. East Carroll, Madison, and Tensas were three of only four parishes in the state of Louisiana that had zero registered black voters in 1962. The courts ruled that the registrar had to start registering black people in East Carroll, but the Registrar simply closed his office and tendered his resignation. There was a clause in the 1960s Civil Rights Act (which was subsequently removed after the East Carroll case) that allowed people to apply to be qualified to vote through the Federal courts if a pattern of discrimination had been found and people still were unable to get registered. On July 12, 1962 in Monroe, LA, 28 African Americans were ruled qualified to become registered voters after they had passed an American government test, read the Preamble and wrote it from from dictation, and completed their applications with no errors. The state of LA protested their qualifications and a second hearing two weeks later in Shreveport, LA resulted in the disqualification of three main leaders in the cause, Lehman Griffin Sr., James Levi, and Watson Sanders and the addition of one more applicant. The 26 new registered voters, the first to be registered since 1922, were remembered and honored in Tallaluh, LA on Saturday, May 4, 2013. Their relatives came in from different parts of the country to participate. We honor them and their courage and perseverance in this blog. "The 26" came from all walks of life. Some didn't have a lot of years of education, others had bachelor’s and master's degrees. Some were old—Mr. Baggett was 86 and there were a few younger ones but most were over 50. Most were people who owned their own farms, the ministers, and the people who owned their own businesses. Different as they were, they all shared a common cause, the desire for full citizenship as expressed through the right to vote. Only three of "The 26" are still alive, Mr. Adam Millikin, who will turn 104 in a few weeks, Mr. Threats of Milwaukee, WS and Mr. Shoemaker of Chicago, IL. Today, there is an aggressive move to disqualify many voters. Are you aware of the changes that are being made to reduce voting privileges? Will you take a stand and be counted like "The 26"? Alease J. Scott was the first African American registered to vote in East Carroll after no one was allowed to from 1922 - 1962. Adam Millikin, the oldest living member of "The 26" resides in Lake Providence, LA. He will be 104 this month. 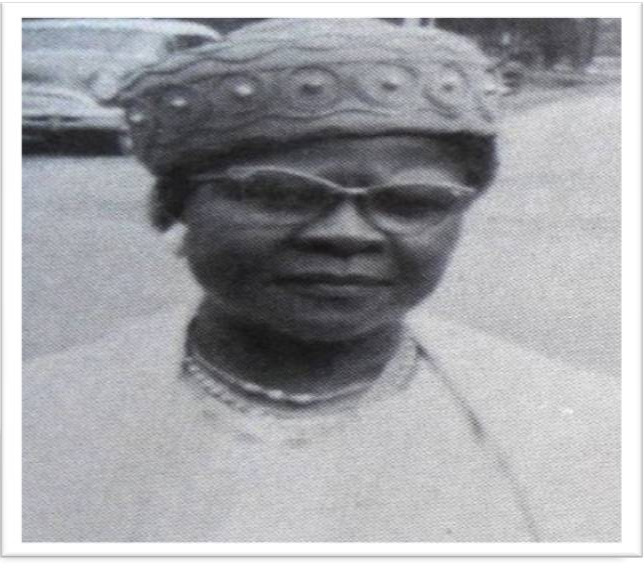 Mary E. Cole, a beautician, the only female on the first voting rights suit against the East Carroll registrar of voters which was filed by the NAACP in 1951. Rose Blockwood, Home Extension Agent, was released from her job after going to court because she shouldn't have taken the day off to go register to vote. She moved to Baton Rouge. Eric Armstrong, owner of the Southside cleaners and the Esso gas station where he and Rev. Scott sometimes met. Mary E. Johnson, shown as she proudly votes for the first time on July 28, 1962, the first African Americans to vote in East Carroll since the 1800's.